During his time at the Hudson Police Department, Attorney Mello served as a Detective, Prosecutor, and finally Operations Commander. He would eventually choose to attend the New England School of Law in Boston, Massachusetts, graduating in the top 10 of his class and behind named a New England Law Scholar. 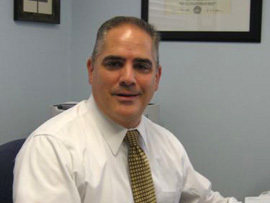 Attorney Mello’s involvement with the school was not strictly limited to the classroom, as he has been published in the Law Review of the New England School of Law. Since his retirement from the police department, Ray Mello has been actively engaged in the practice of law. With specialties including Criminal Law, Family Law, Municipal Employment Law, and Personal Injury Law, he has the ability to represent clients facing a wide variety of differing needs. On the personal side of things, Mello has many interests including outdoor sports and recreation such as road and mountain bicycling, mountain climbing, hiking, saltwater fishing, golf and most importantly spending time with his family!